Gone are the days of newspaper advertisements and expensive mailers. Where do people go for information? Simple, the Internet and social media. With over 1.6 billion users on Facebook you’re sure to reach new patients with advertisements about your dental practice. Imagine a potential customer scrolling through Facebook as they lay in bed. A post featuring your dental practice appears naturally on their news feed with a video of you giving some tips and tricks on taking care of teeth with an offer for a free exam and teeth whitening. She clicks the ad, watches your video, and downloads your coupon. Upon downloading the coupon an email is sent to you and your staff with her contact information. The next day your front-office staff contacts her and schedules an exam and she is given the V.I.P. customer treatment that your practice is known for. That’s how it should work. Are you doing it? If you’re not utilizing Facebook advertising to get more patients for your dental practice, your competitors are. Those potential patients, are being targeted this very moment by truly committed dentists with their own digital marketing strategies. 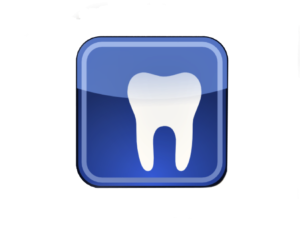 What’s your dental practice’s presence like on Facebook? Your team is most likely posting photos of the staff, patients, and local events to people that have already “Liked” your page, but what about those looking for a new dentist in the area? No matter how many “Likes” you have on your dental Facebook page, only 3% will ever see your posts. Yes, only 3%! Back in the day, when you posted on Facebook, the message went to your entire audience. Times have changed. If you want your target audience to see your content and learn more about your great dental practice, you have to PAY TO PLAY. Remember, it’s the way Facebook monetizes their platform, but it’s not necessarily a bad thing for dentists. What’s the value of a new customer for your practice? Are you willing to spend a few hundred dollars to get 5 new patients? The answer should be, “Yes” because the return on your investment will be much higher. When it comes to results for dental practices and other sectors of healthcare, Facebook advertising has huge potential and is surprisingly affordable. Making that investment can quickly translate into a non-stop flow of new patients for your dental practice––something that’s always welcomed. If your budget for marketing is limited, don’t worry, in comparison with other popular advertising methods, Facebook offers more potential return in exchange for a smaller investment. Plus, you only pay when someone is interested enough in your offer and decides to click on your ad. Compare this to direct mail advertising, where a dentist pays a graphic designer to create an ad, then pays the cost of printing thousands of mail cards, and finally pays for postage to go out to hundreds of homes hoping someone will call. How expensive and ineffective is this method? If you’ve never advertised your dental practice online, you may have doubts about the effectiveness of your efforts. I mean, it can be nerve-racking to send you hard-earned dollars out into cyberspace with little knowledge of what could happen. Testing and experimenting in Facebook advertising can lead to quick returns and clear statistics about what works, who is clicking your ads, what time, where they live and more. Most people looking for dentists will only travel within a 3-7 mile radius of their home or work. Do you want people living 40 miles away clicking on your ads? Of course not. It’s expensive and they aren’t your target audience. Facebook advertising has powerful and precise segmentation tools to ensure that your ads are showing up only to people within your target audience. The power doesn’t stop there. Facebook has so much data on its users that you can target your ads to audiences with specific interests and behaviors. You can even place your dental advertisements in front of people that have visited your website in the past, keeping your brand top-of-mind. After you define your ideal customer or target audience, it’s easy to target your advertising efforts and maximize results by only showing ads to individuals with high potential of becoming patients. One of the most powerful ways to share content and engage your target audience is through video. 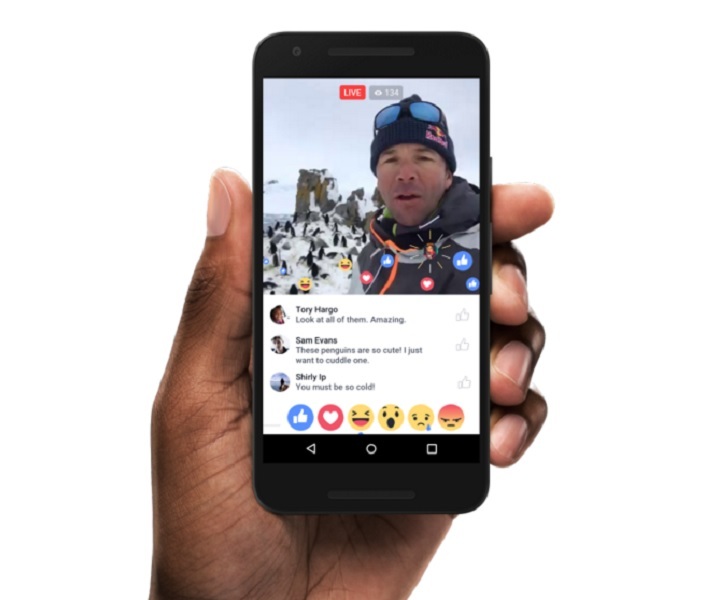 Facebook gives priority to video because they are the most consumed, effective, and engaging medium. Video effects people’s behavior, captures attention for longer periods of times, and can deliver valuable content easily and quickly. Video doesn’t have to be a high-end expensive commercial. All you really need is a tripod and a smartphone. Most smartphones, these days record high definition video that rivals many professional cameras. In fact, viewers typically prefer authentic videos that feature people they can relate to or provide value-based content. An example of value-based content could be a 60-second video of a dentist giving free advice to viewers. Answers to the top patient-questions is a great way to begin. People have questions, so press record and answer them. Easy, right? People want to trust a dentist before spending time in their chair. Most will ask friends or family for a referral. Others will search Google for reviews. Facebook allows dentists the capability to provide advice, be social, show their staff, promote offers to new patients, and gain trust. Creating trust and a connection with the community should become a priority for dentists. By promoting free content and advice to new and larger audiences, dentists can leverage Facebook as a tool to forge a bond and solidify new relationships with people searching for a new dental provider. Facebook advertising allows you to create an easier way to communicate with the potential patients. By adding contact buttons in the ads, the individual can be redirected to a chat room, contact page, landing page, or a phone number for the dental office. Creating high-quality content that delivers value to the audience takes time and isn’t easy. That’s why it is can be frustrating when we create quality content but no one sees it. In this case, Facebook ads are often used to leverage or recycle existing content and attract new patients. By using content and Facebook advertising, dentists are catching the audience’s attention in non-intrusive ways. While paid ads are, from time to time, disliked for offering nothing but a sales approach, using them along with free value-based content can result in an effective strategy. I’ll say it again, gone are the days of traditional methods of advertising like newspapers, magazines, and mailers. They are expensive and difficult to track. People are forever on their mobile devices and computers searching for information, products, and services. Are you there? I bet you are, but how effective are your strategies. Facebook advertising gives power to dentists and healthcare providers, allowing you to target and track where their money is going. So, where is your money going? How are your marketing dollars performing for your practice? Facebook advertising simply works and your potential customers are waiting to hear from you.